The PT2399 Delay Dev Kit is a great way to get started experimenting with the PT2399 Echo Processor IC! Based off of Princeton's PT2399 Echo Application Circuit (straight off the datasheet), this PCB gives you the exact set-up recommended by the manufacturer. 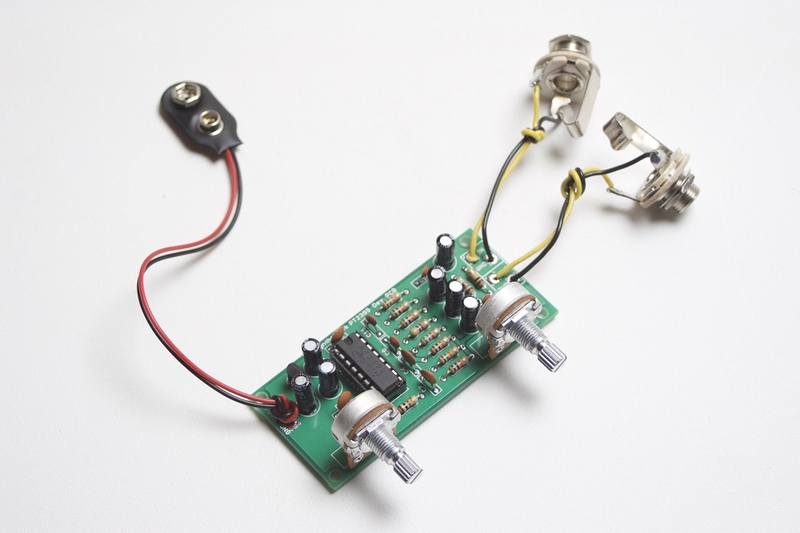 Engineers and hobbyists alike can use this basic design to modify it for their own purposes The PT2399 Echo Processor IC is a very versatile circuit with adjustable input/output filtering, delay length, wet/dry mix, and a lot of unexplored potential! On-board 5V regulator allows for multiple powering options and interfacing with digital circuits. Use a 9V battery, 9-18V AC Adapter, or connect it to your central power supply. 2 potentiometer placement positions adhere to the datasheet schematic, allowing for direct control over how much delay is present in the output signal. Delay length is variable from fast slapback echo to long dub-style repeats to noisy long repeat madness! Mix allows you to set the wet/dry portions of the signal. 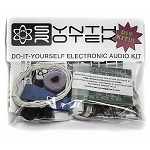 All former PT2399 Mods are now integrated into this kit! Get the Feedback, Feedblast and Warp mods! 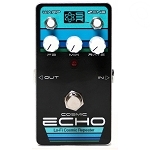 The PT2399 Echo IC was designed to mimic old-school analog BBD delay with modern digital sampling technology. Repeats degrade at higher delay lengths, resulting is a very natural well-filtered reproduction of your synth/guitar tone. 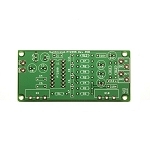 PCB Dimensions: 3.125" x 1.375"
Great for synths and guitars! 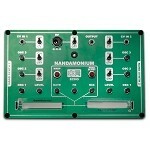 Easy to configure and mod your circuit for a greater delay range, delay length modulation, and a lot more! 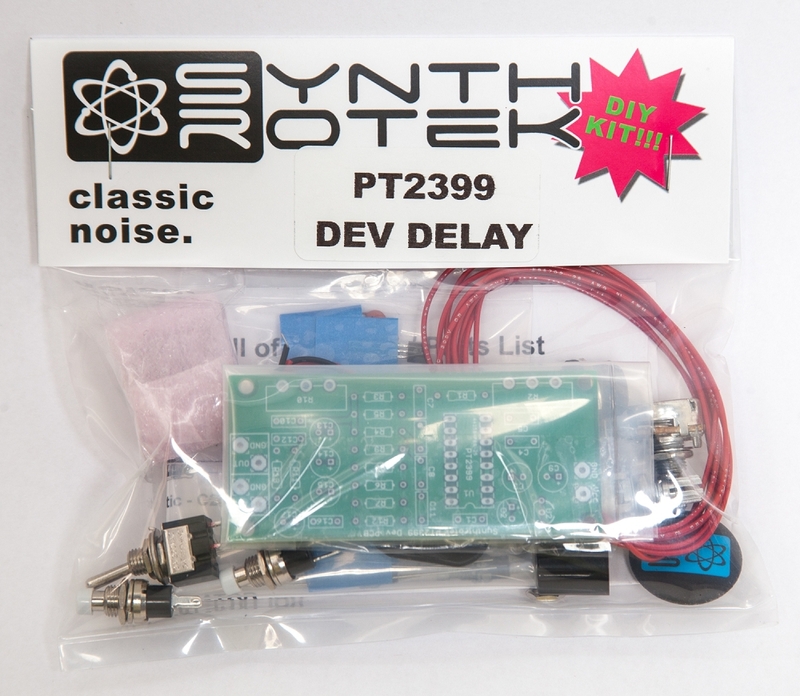 We recommend our 232i Plastic Synth Case for the Dev Board Delay Kit.